Young creative woman vlogger in a flower shop. A startup of florist business. 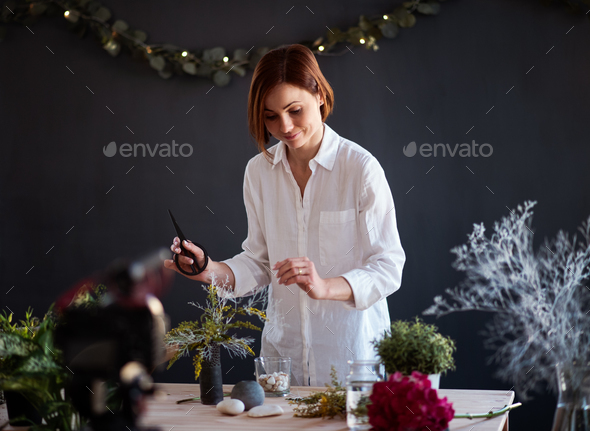 A young creative woman blogger or vlogger arranging flowers in a flower shop. A startup of florist business.